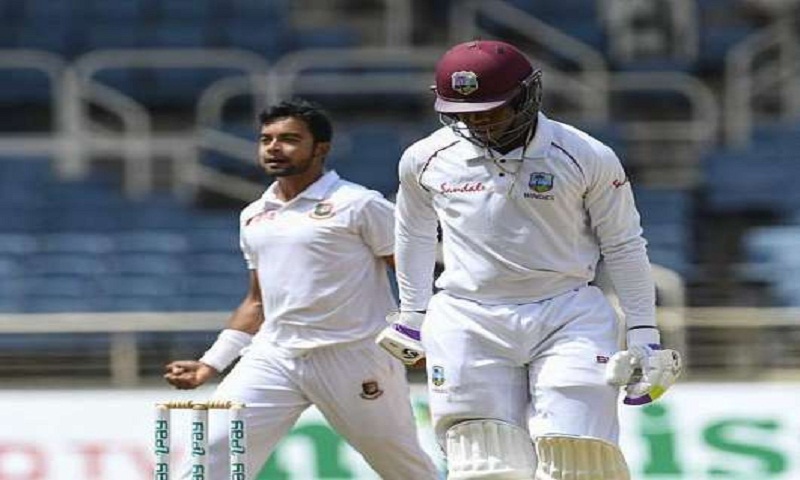 Visitors Bangladesh will look to restore their battered pride when they begin their three-match one-day series against West Indies on Sunday at Kingston in Jamaica. The going hasn’t been great for Bangladesh cricket in abroad in recent months. After a 3-0 T20 series defeat against Afghanistan in Dehradun, they were handed a further blow when West Indies hammered them 2-0 in the recently concluded Test series. To make matters worse, Bangladesh were dropped to ninth place in ICC Test rankings. A warm-up win over UWI Vice Chancellor’s XI on last Thursday however came as a major confidence-booster for the visitors ahead of three-match ODI series. Tigers’ problems are many. Bangladesh lost the Test series after familiar batting woes. Bangladeshi batsmen failed to handle Caribbean pace attack. Most of the Bangladesh batsmen threw away their wickets with impatient strokes. Bangladesh have lost all their batsmen for as low as 43 runs in the first Test. It is their lowest score ever in Test cricket history. Only Nurul Hasan and Shakib Al Hasan showed some resistance in Test series by reaching half century. Tigers’ bowling worries are even more acute than their batting. No bowler was able to make the desired impact on the West Indies batsmen. Left arm spinner Shakib Al Hasan and pacer Abu Jayed Chowdhury showed only a glimpse of their true self. While Mashrafe Mortaza remains at the helm of the ODI side, the squad will be bolstered by limited over specialists such as Sabbir Rahman, Anamul Haque and Nazmul Islam, along with newcomer Nazmul Hossain Shanto. Tigers’ pace attack is boosted by the return of pace sensation Mustafizur Rahman and Mashrafe’s inclusion. Mosaddek Hossain also proved his spin value in practice match by grabbing four wickets which included Chris Gayle’s wicket while pacer Rubel Hossain came back into form with ball by taking three wickets in practice match. Tamim Iqbal and Anamul Hoque are set to start Bangladesh’s innings while Litton Das or uncapped Shanto could grab the one-down spot. Shakib, Mushfiqur Rahim and Mahmudullah Riyad will come next respectively. Sabbir or Mosaddek will fight for the number seven while Nazmul Islam is the only specialist spinner in Bangladesh’s side.